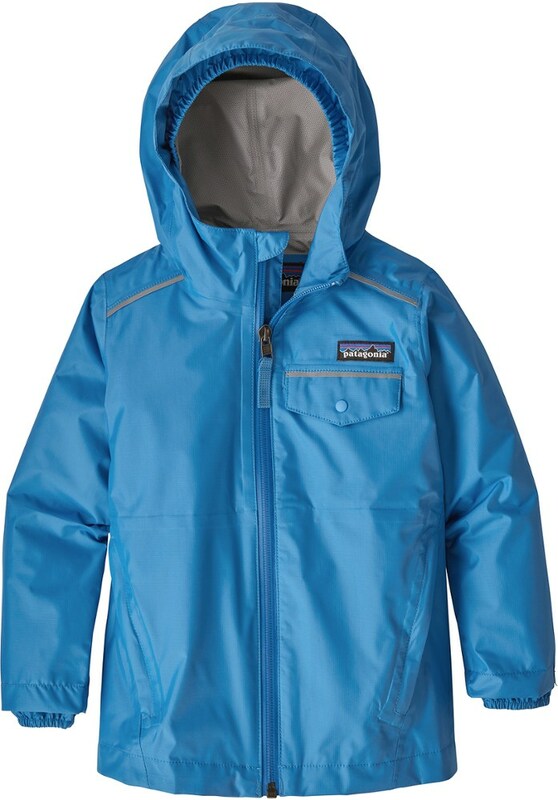 A perfect light shell to keep up with all his antics and adventures. 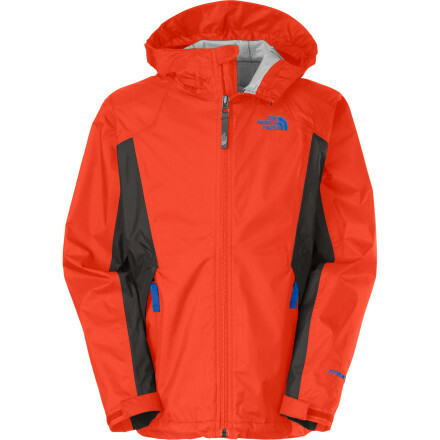 The North Face Zipline Rain Jacket is a 2-layer nylon shell with a fixed hood and a polyester lining designed to keep him dry without slowing him down. 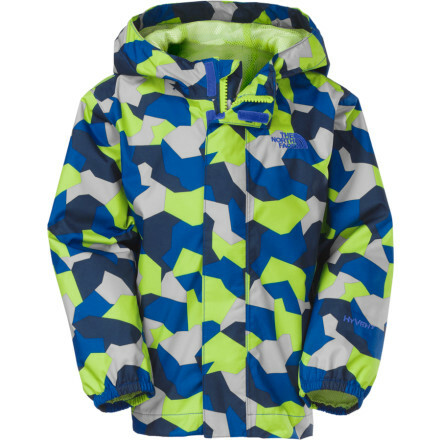 Help your little dude avoid rainy-day upper-body saturation while he's out splashing in puddles and building forts with The North Face's Boys' Zipline Rain Jacket. 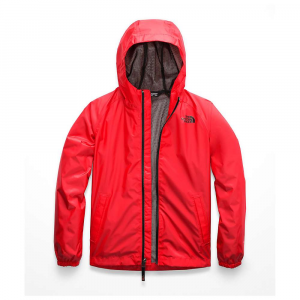 The waterproof membrane completely blocks moisture to keep him dry while fully taped seams prevent water from sneaking through the stitching when he can't bear to come inside. 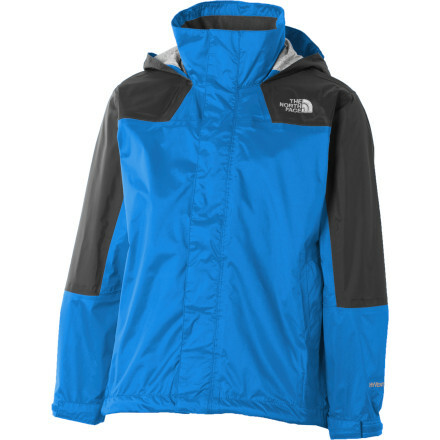 The North Face Zipline Rain Jacket is ready to keep him dry during all-day adventures. 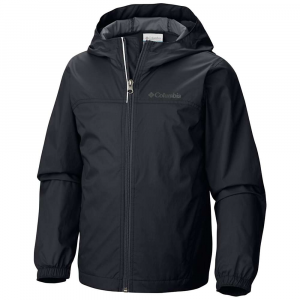 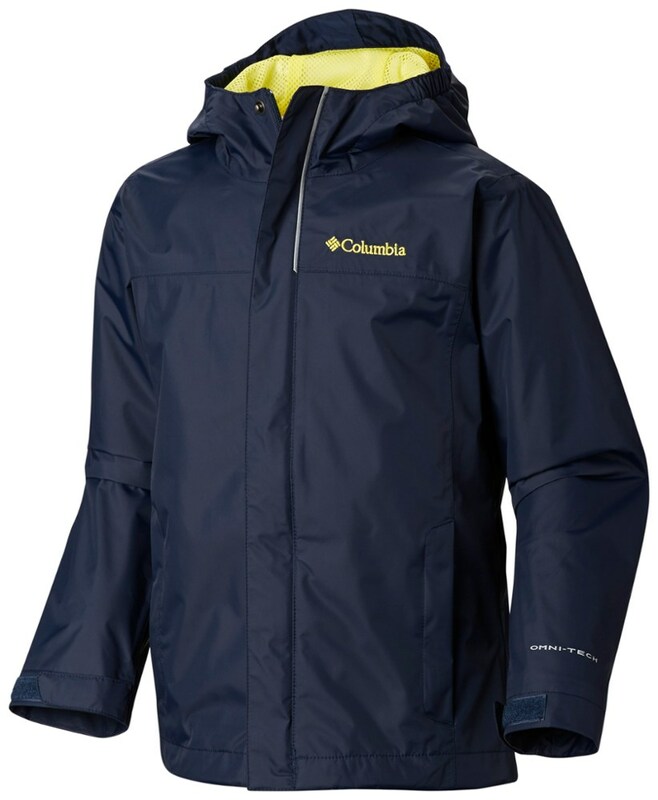 Built for rainy weather, this breathable, waterproof rain jacket is finished with a comfortable mesh lining.